Stunning year round cottage located in the sought after subdivision known as Countryside Estates just minutes from downtown Wasagaming. This 2 bedroom cedar cottage is nestled back amongst the mature trees with a large backyard equipped with a shed and spacious wraparound deck to ensure complete privacy. 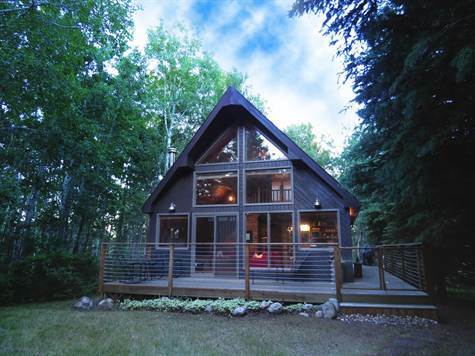 This cottage was planned with an open style concept, beautiful vaulted ceiling and rake style windows. The well-maintained property features an abundance of natural light while you gather in front of the wood burning fireplace. With updated kitchen, shingles, flooring, bath, this home is move-in ready. Call for further details.